What does it mean to be Location Independent? Whether it is owning your own business- that could mean you work as a freelancer or as a contractor for someone else- not necessarily having an online business. Or what service do you provide for people? Is it possible for you to work from anywhere? If someone said to you, “now or sometime in the future, would you like to be able to travel the world, do work that you love, have total freedom AND earn more money than you do right now?” What would be ... See More your reply? Today you'll hear all about how Location Independence is possible and 17 reasons why Location Independence rocks! Listen Now to Learn: How the TOTAL Triangle of Freedom really works Why overall time ownership is awesome How to never worry about updating your resume again How to face the hardest part of Location Independence How to find exciting unseen opportunities (especially when you do something you love) The main benefit of Location Independence How to enjoy food around the world (and linger over your coffee) How to travel on your terms! And much more! 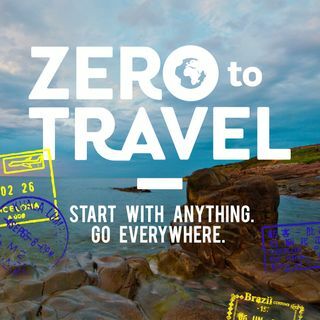 Resources: The Paradise Pack United Nations For more Zero To Travel Podcasts, head over to the archives for all past episodes! And don't forget to pick up the Paradise Pack to learn the actual skills you need to achieve the Location Independent Lifestyle! Sale is from May 31st- June 6th.